Have you ever ruined a beautifully crafted video by uploading it at the wrong resolution for your hosting platform? Never again, my friend. Now you have this high quality video upload guide to ensure you get it right every time. 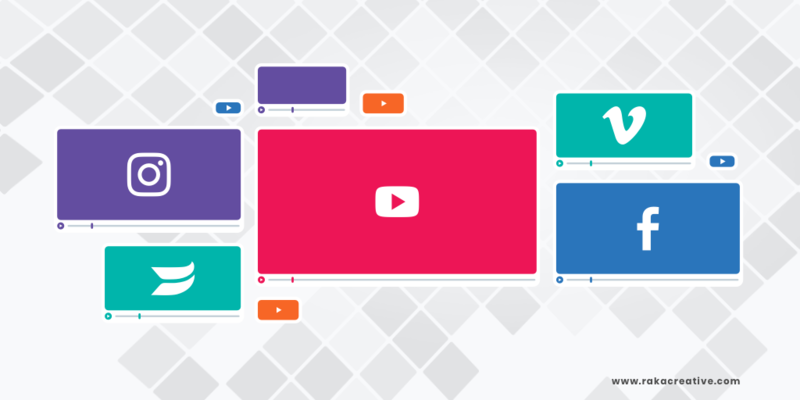 As a follow up to our “Social Media Sizes: An Always Up-to-Date Guide,” we’ve covered all of the big video marketing platforms here. That includes YouTube, Facebook, Instagram, Vimeo, and Wistia, so you’ll never have to look anywhere else to stay up-to-date on what makes for a high quality video again. The following info is up-to-date as of April 2, 2019. Frame Rate (fps): Videos should be in their native frame rates without resampling. Resolution Standard: You should provide the highest resolution available. A minimum resolution of 1280×720 is recommended for 16:9 and at least 640×480 for 4:3. Resolution Standard: Upload the highest resolution video available that meets file size and ratio limits. Resolution: Upload the highest resolution video available that meets file size and ratio limits. *Stereoscopic video should be uploaded with the left and right view stacked on top of each other as 4096 x 1024 (4:1 aspect ratio) for each eye. Make sure you’re publishing video content that supports your overall inbound marketing strategy by including it in your content calendar. We’ve created this handy-dandy template to help you get started.